As the undergraduate college of our country’s naval service, the Naval Academy prepares young men and women to become professional officers of competence, character, and compassion in the U.S. Navy and Marine Corps. 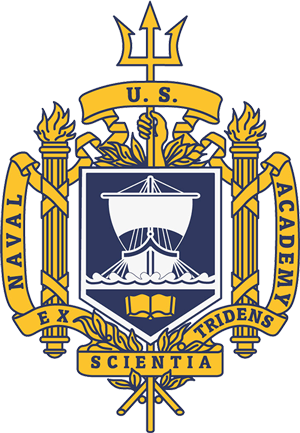 Naval Academy students are midshipmen on active duty in the U.S. Navy. It would be impossible to predict what four years at the Naval Academy would be like for you personally, but we can describe our philosophy, our curriculum and the daily life you can expect. Only after you’ve experienced the exhausting rigors of Plebe Summer, and after you have faced the responsibility of leading other midshipmen and after you have thrown your hat into the air at graduation will you really know what the Naval Academy experience is all about. Make no mistake: the four years at Annapolis are very challenging, tightly structured, and designed to push you well beyond your perceived limits. You and your family are encouraged to take a guided walking tour of the Academy with professional, certified Naval Academy guides through the Armel-Leftwich Visitor Center. Visitor Center hours are 9:00am-5:00pm March through December and 9:00am-4:00pm January and February. Proceeds from the sale of Visitor Center tours and tax-free merchandise at the Naval Academy Gift Shop benefit the Brigade of Midshipmen. Anyone with a locally prepared USNA ID Card or a DOD credential, including military retirees and dependents may drive onto USNA. All others will need to park outside the Academy and walk in through Gate 1. All visitors over the age of 18 must have a valid picture ID. Please check the current security restrictions before planning a visit.